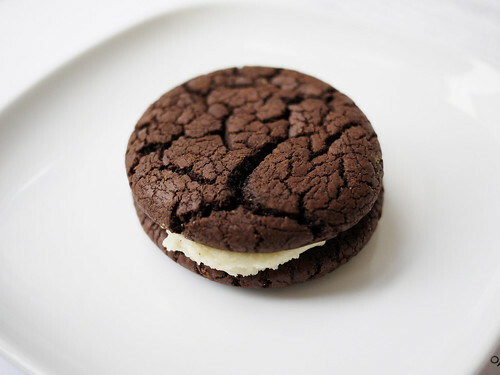 If not for the slightly stale butter cream filling, this over-size "oreo" from Westville might have been very good. As it is, we only ate the cookie shell. We could have used an Oreo separator machine today.